Coal production in the Powder River Basin totaled 86.6 million st in the third quarter, up 18.9% from the prior quarter's total of nearly 72.9 million st and down 5% from the year-ago quarter with production of 91.2 million st, according to data gathered from the Mine Safety and Health Administration throughout October. The recently ended quarter had the largest level of production this year so far, and the first quarter came in second with 80.8 million st.
Peabody Energy's North Antelope Rochelle mine, the basin's largest mine, produced 26 million st in Q3, up 22% from Q2 and down 6.3% from the year-ago quarter. Arch Coal's Black Thunder mine produced nearly 19.4 million st, up 17.7% from Q2 and up 0.5% from Q3 last year, while Cloud Peak Energy's Antelope mine output totaled nearly 5.8 million st, up 18.5% from Q2 and down 26% from the year-ago quarter. 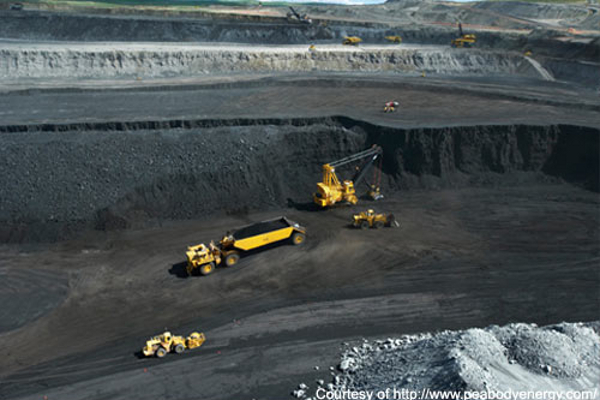 North Antelope Rochelle, Black Thunder, and Antelope are the three mines in the basin which produce 8,800 Btu/lb coal. Their combined output rose 19.9% quarter on quarter and fell 6.7% from Q3 2017 to 51.2 million st.
Production from the 8,400 Btu/lb mines totaled nearly 35.4 million st in Q3, up 17.4% from the prior quarter and down 2.5% from the year-ago quarter. On a state basis, Montana mines rose 12.5% in production from Q2 and dropped 7.6% from the matching 2017 quarter. Westmoreland's Absaloka mine had the biggest increase quarter on quarter, up 33.8% to 1.1 million st in production. Only Decker's Decker mine dropped from the prior quarter, down 3.7% to less than 1.4 million st in output. The Wyoming mines, excluding the three 8,800 Btu/lb mines, output totaled 27.4 million st, up 18.9% from Q2 and down 1% from the year-ago quarter. Kiewit Mining's Buckskin mines had both the largest increase on the quarter and the steepest drop from Q3 2013. In Q3, production from the mine rose 31.9% on the quarter to 3.8 million st, while it dropped 19.7% from the year-ago quarter.